How long do we have before AI-powered bots become the primary channel for us to read and share content on? From newspapers and magazines to social media and apps, what does the future of content have in store for us? Unlike traditional media and the printed press which stayed stagnant for decades, it’s no secret that the digital marketplace as we know it changes drastically on a year to year basis. With the evolution of how we create and consume content, however, staying in the game goes hand in hand with staying on top of the changing types and hacks of content marketing. After all, meeting audiences where they are and how they like it is what will make or break you. For the past few months, marketing gurus like Rand Fishkin and Neil Patel have been emphasizing on how unique quality content created to target narrower niches is what will make us stand out in 2017. While I couldn’t agree more, I believe there’s still a better way of keeping up and getting your voice heard. Chatbots! Now that we’re well into 2017, AI enthusiasts are definitely aware of the scope of marrying bots and marketing, but this list is aimed more at marketers and business owners who wish to be fast movers in their space, stay up to date with change and aren’t afraid to take rewarding calculated risks. Important: The content marketing and strategy trends in this post are all crucial for online success in 2017 and chatbots effectively help in implementing these tactics faster and better. 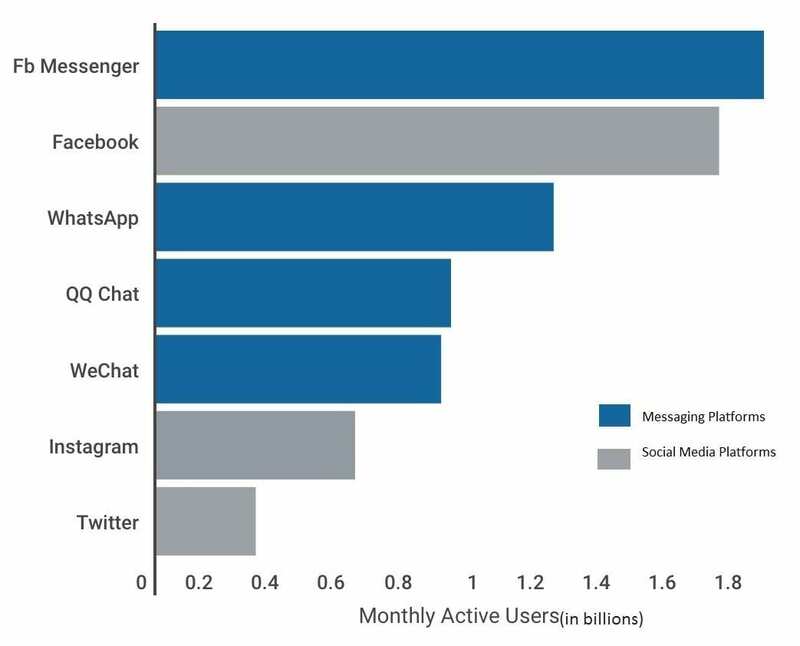 What do WhatsApp, Fb Messenger, Slack, Telegram, Kik and WeChat have in common? They saw more active users than social media did in 2016. If predictions mean anything then 2017 is only going to see this go uphill from here. We, humans, love texting, period. If you play your cards right, presence on chat could significantly solidify your content marketing goals. Countless brands, SMBs, celebrities, bloggers and digital marketers are already reaping the benefits of using Fb Messenger to market content. As we’re shifting from social media to chat, it means only one thing for smart content marketers–another promising content promotion and distribution channel! 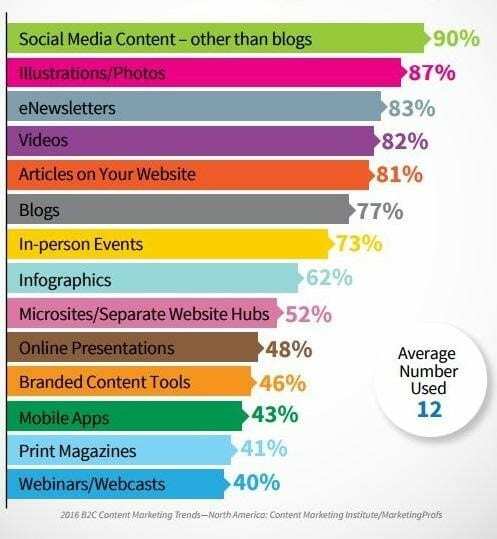 Whether you’re a business owner or a marketer, you want your content or products to get significant traction. Nonetheless, you’ve got a zillion tasks on your content marketing to-do list and as much as you want to get in on a chat-based platform, chances are you don’t have the time to actually chat with all your prospects. Shell out big bucks, buy live chat services and hire support agents? If you’re going to hand over the controls of your online brand voice to someone else, a chatbot is your most reliable and cost-effective bet. Chatbots can be trained to mimic us, they’re automated and can manage all our interactions on our behalf, in our absence. In essence, bots are the most efficient live chat agents you did not pay to hire! So what happens if you embed a bot into a platform like Facebook, Slack or Telegram? For starters, YOU don’t actually have to sit online and chat with everyone. How? They’re friendly and give instant human-like responses – either with plain text, visual snippets or a combination of both. Bot Tip. Jump aboard the chat wagon to target audiences, start by creating a chatbot, the more information you feed into your bot the more accurate it will get, train it over time to make it smart. Back in the day before Google rolled out its Penguin update, creating content meant creating a LOT of content. More content meant more organic search rankings which meant more traffic. Today, over-saturation and ranking algorithms have made things different. Readers are known to skim through. They want to read interesting, informational content and they want to read it fast. In 2017, we’re going to see exceptionally specific pain-point driven content tailored to target clearly segmented and defined audiences. 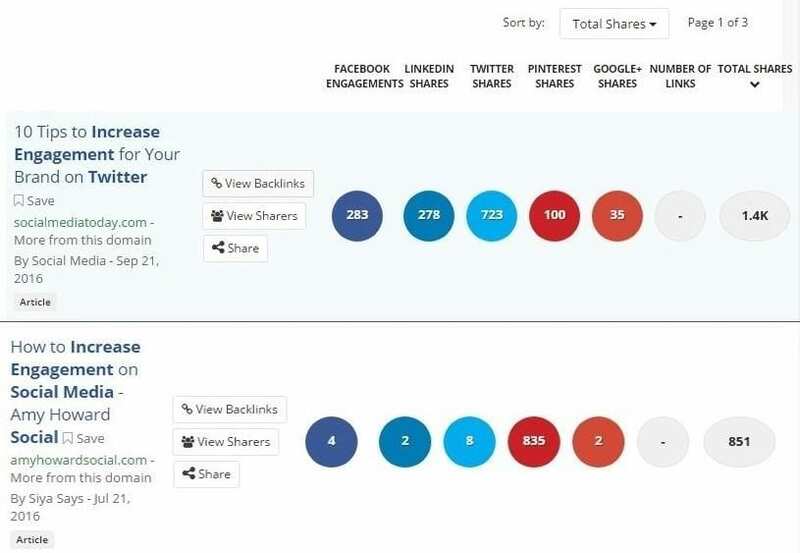 As shown in the image above, a more targeted topic like the one offering tips to increase engagement on Twitter will get you more views, likes and shares than a broader topic like the one dealing with engagement hacks for social media in general. As opposed to blogs and websites, bots allow readers to skip the part where they need to go through a ton of content to find what they were looking for. On the contrary, chatbots allow readers to just ask, ask specific questions and get super relevant answers which is a key factor this year. Think of all the FAQs! Any day better than leaving it up to them to discover valuable content, or worse - discover, lose interest and leave. 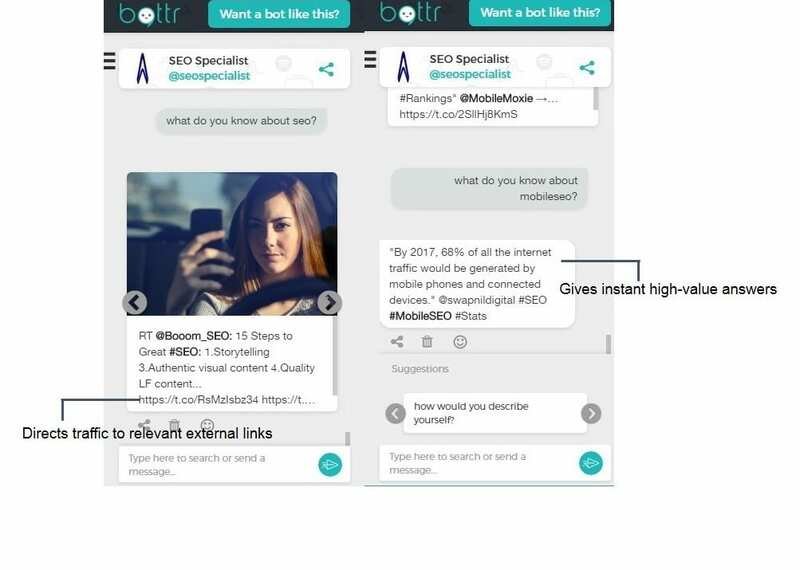 In a bot-less world, to create an effective long-term strategy you’d probably design a well-thought out content roadmap. Typically, you’d start by figuring out who your target audience is, what their pain points are and how you could add value to them. Then you’d check any audience requests, using tools like UberSuggest, BuzzSumo, Social Mention, Google Trends, see what’s trending around your focus keywords, analyse interactions on Quora and the works. Bots, on the other hand, simplify this whole process of planning. 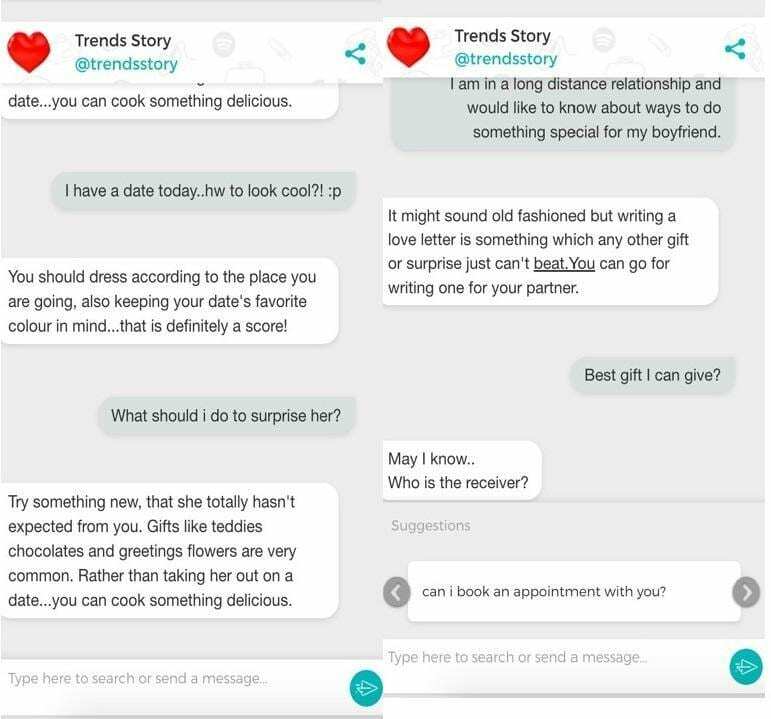 Your readers interact with your bot in a Q&A conversational format to get valuable content. Simply put, your chatbot knows exactly what your reader is looking for and if it doesn’t already have information to give, it will save all those pain points as unanswered questions. Last year, visual content was supposed to expand ten-fold and it did. So much so, that we built entire social platforms around it (think Instagram and Snapchat). This year, videos alone are expected to represent 74% of all traffic online. High-definition images and videos primarily work because they’re captivating, they stick and bring a level of transparency between business and their customers. Besides, video pumps SEO juice and can get you search rankings way faster than written content can. All in all, if increasing engagement and ROI is a key goal, you should dive into video marketing strategies right away. UX matters and so does packaging. Think of bots as your visual communicator if you will; they package images and videos into rich micro content cards. These visually appealing cards are captivating, hard to forget and can be made clickable to drive traffic to say your YouTube channel for example. An ingenious way to ace at video marketing, don’t you think? As of now, businesses make the most of segmentation tools to divide, customize and target audiences, cash in on influencer marketing, hold hashtag contests, stay responsive on social media, all to boost engagement. 2017 is going to be a whole new ballgame. With competition and need for engagement increasing by the day, you will need to jazz things up further this year and make personalisation actually feel personal. In practice, personalization will mean more than merely lacing email templates with people’s first names. So if you thought, your subscribers felt special just to see pre-tailored emails addressed to them, think again! Perhaps the biggest feather in a chatbots’ cap is its ability to personalise every visitor’s online experience. First off, a bot not only recommends customized user-specific content but can also hold unique conversations with each and every visitor. With a chatbot backing you, providing interactive “choose your own” type of experiences is easily achievable. Bots preserve the style of chatting, personality, and online image by mimicking you while interacting with users. The possibilities! Bot Tip. Give your chatbot a friendly tone and character, make sure not to make it sound robotic, don’t get overambitious. Content marketing is arguably one of the most evolving forms of marketing as we know it. Staying up to date with trends, strategies, best practices and tips are easier said than done, especially since readers are getting fickle minded by the day. 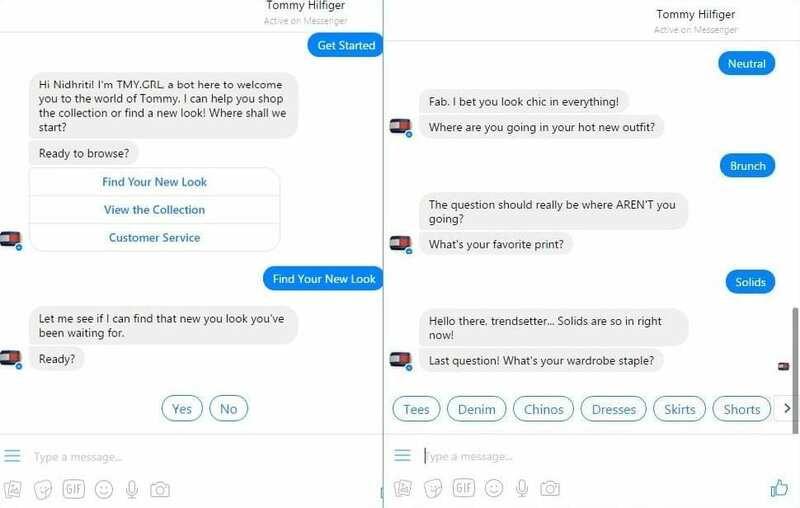 Chatbots, in this case, are the new black. They will attract, engage and convert. Going by what each platform has to offer in terms of marketing scope, bots by far present possibilities of engagement and conversions like no other. The cluttered digital space as we know it crowns content as king but the next two years will definitely shape how we consume it. What do you think? Can bots truly augment our marketing efforts? Feel free to express your thoughts in the comment section. Abhimanyu is among top 100 global thought leaders in the bots space and Founder/CEO of chatbot platform Bottr.me - one smart identity to do things, better and faster. Prior to this he worked with 40+ startups across product & marketing and studied at London School of Economics and IIT.